Permanently disfigured, Banza Mwela has a powerful testimony to share. Editor’s note: Photos at the end of the article may be disturbing to some people. We included them to give a better understanding of Banza Mwela’s miracle story. Banza Mwela, the pastor of a Sunday-keeping church in the Democratic Republic of Congo, nearly died when his wife and son doused him with skin-burning acid on the day of his baptism into the Seventh-day Adventist Church. But Banza, his face permanently disfigured, clung to life and today is an Adventist pastor preaching a powerful testimony that draws crowds to Jesus. “I praise the Lord that I belong to the Seventh-day Adventist family and that the devil has been defeated,” Banza said. The story began in October 2013 when Banza attended an evangelistic campaign in the southeastern city of Likasi. He was not among the 60 people baptized after the meetings sponsored by Adventist world church president Ted N.C. Wilson and led by Austin Goodwin, a pastor from the Columbia Union Conference in the United States. Church leaders said Banza wasn’t quite ready, so he enrolled in the pastoral training school at the local Philip Lemon University to learn more about Adventist doctrines. Three months later, he was baptized. “But then he was baptized by a sword of anger unexpectedly waiting for him at home,” said Robert S. Muhune, president of the Adventist Church’s East Congo Union Mission. On the day of his baptism, Banza returned home, happily singing a hymn about the power of Jesus. 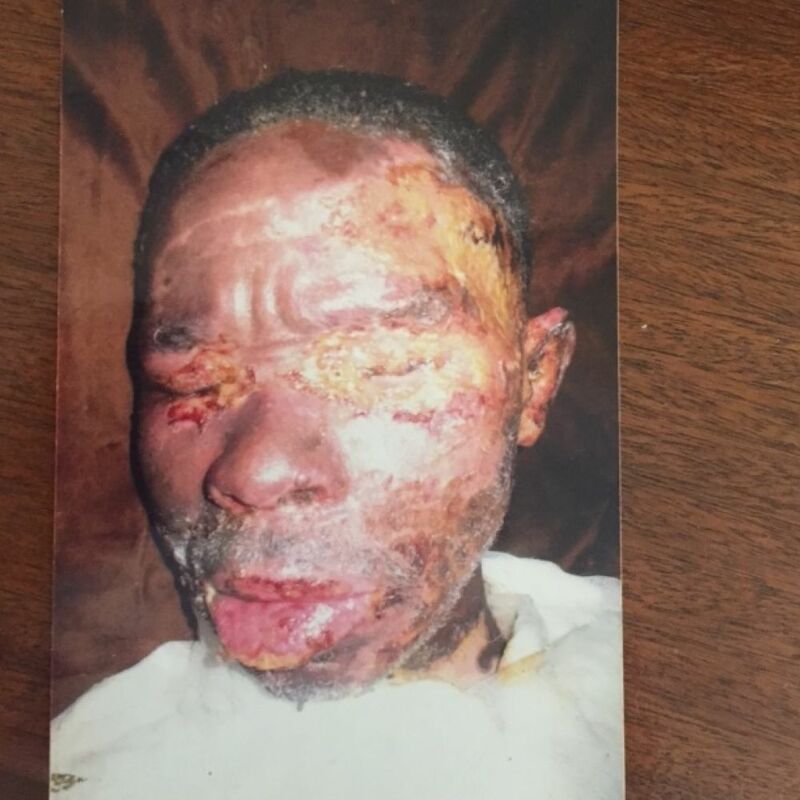 As he entered the house, his adult son lunged toward him and threw a pail of sulfuric acid on his face and body. 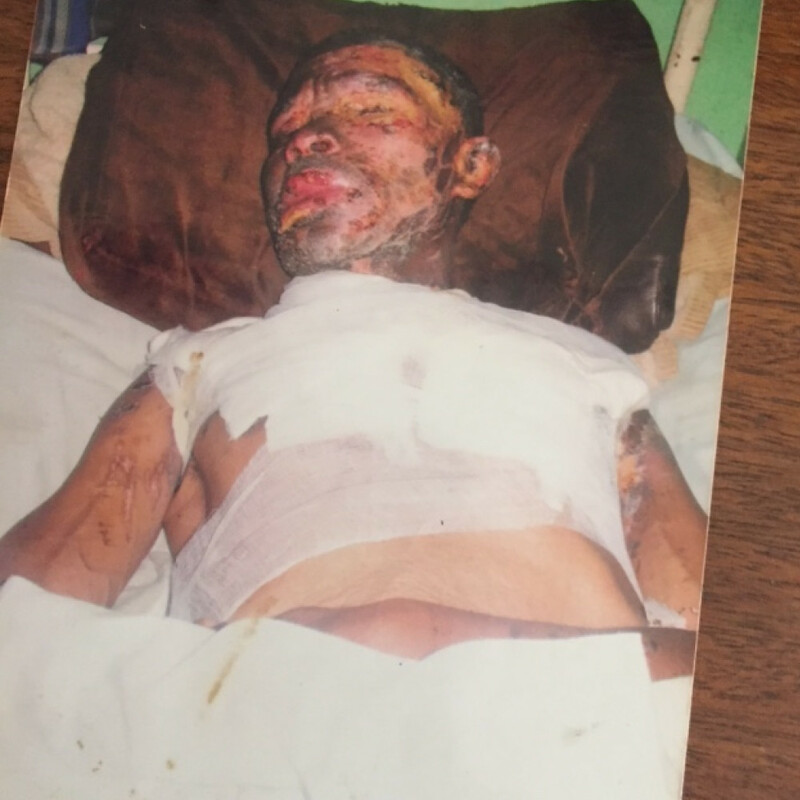 Blinded and burning with pain, Banza cried out in agony and crumpled onto the floor. Banza’s wife and son, enraged that he had left their church, had plotted the attack and hoped that he would die on the spot, Muhune said. Neighbors heard Banza’s cry and rushed him to the hospital. Doctors weren’t sure that he would make it. He lost an eye and most of the skin on his body. 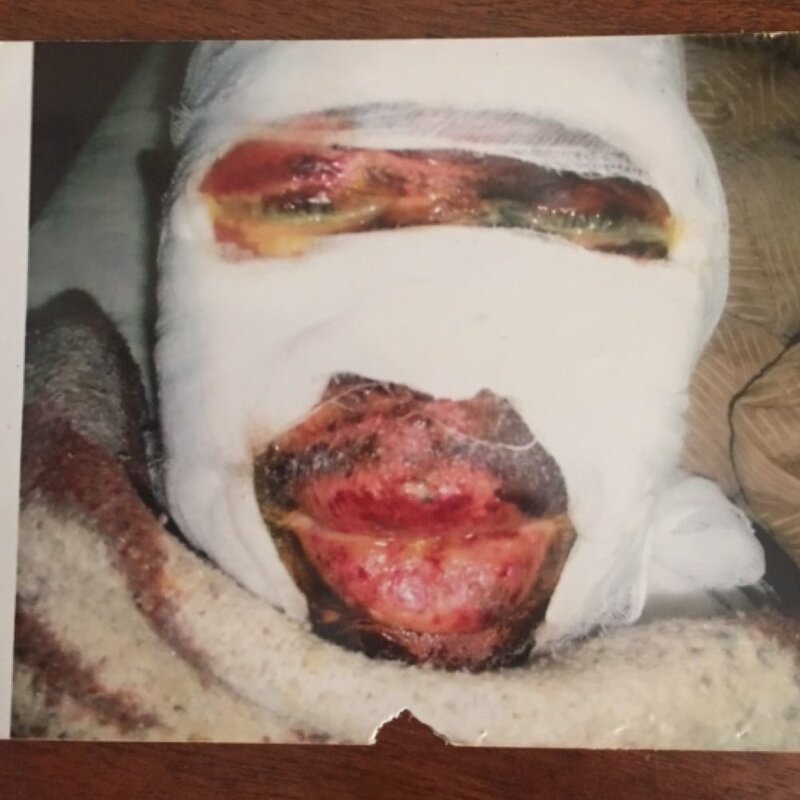 He spent weeks in intensive care, and skin grafts and other reconstructive plastic surgery are continuing even now, four years later. The Adventist world church has helped cover the expensive operations, and Wilson has intervened personally to make sure that Banza receives the care that he needs. Banza’s wife and son disappeared after the attack and are on the police’s wanted list. God has turned the devil’s evil plan into a blessing for many people, Muhune said. Editor’s note: The following photos may be disturbing to some people. We included them to give a better understanding of Banza Mwela’s miracle story. 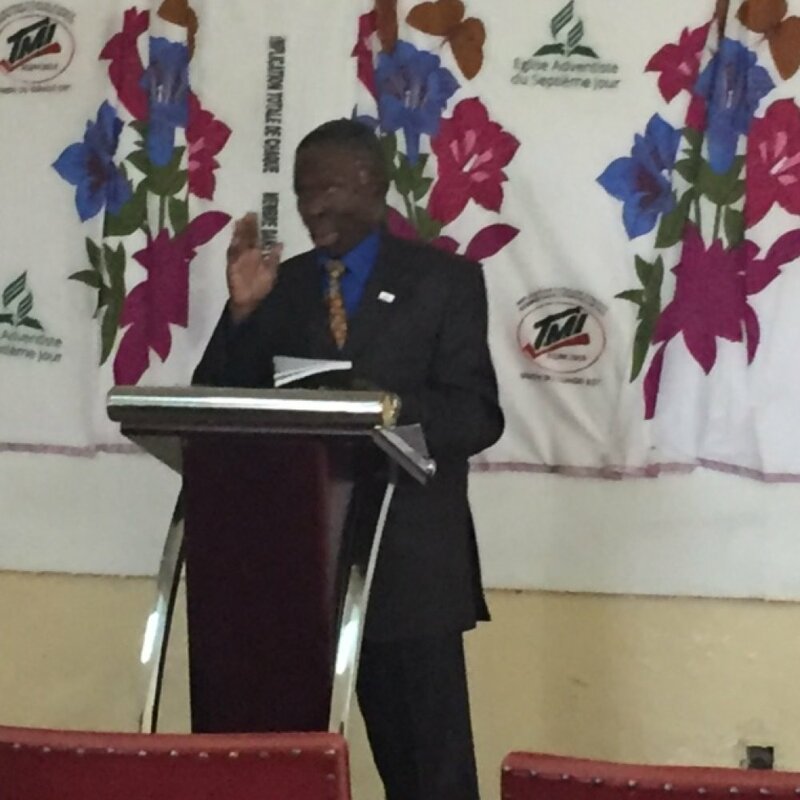 Banza Mwela preaching at a Total Member Involvement event in the Democratic Republic of Congo in 2018. This is the best-quality photo available. 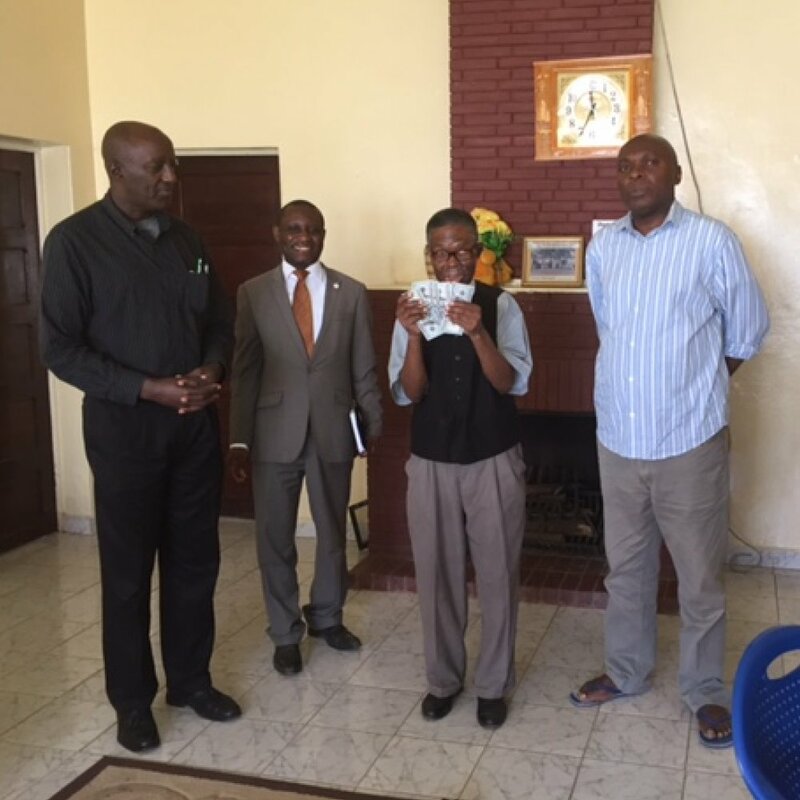 Banza Mwela, second right, receiving a donation from the presidential office of the Adventist world church to help cover ongoing treatment. Local church leaders are standing beside him. 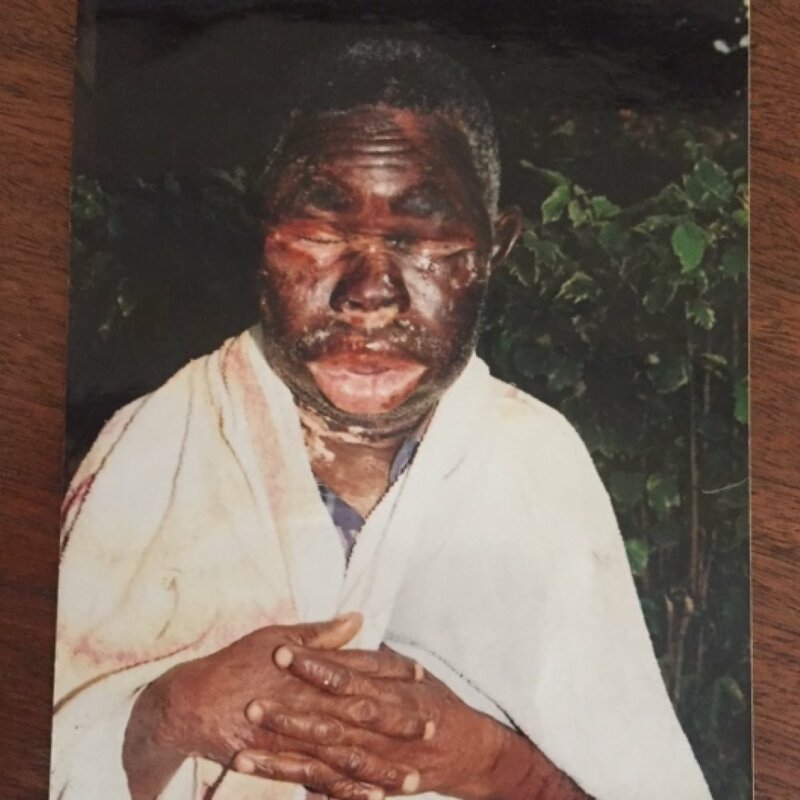 Banza Mwela shortly after the acid attack. Banza Mwela being treated in the hospital after the acid attack. 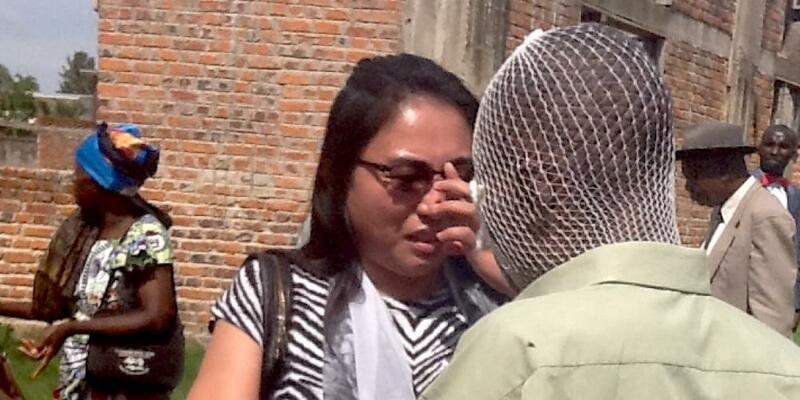 Bandages covering Banza Mwela's face. Banza Mwela after the acid attack. ​Why Was I Born? Graciela Musetti finds the answer years after her pregnant mother sought an abortion in Uruguay.